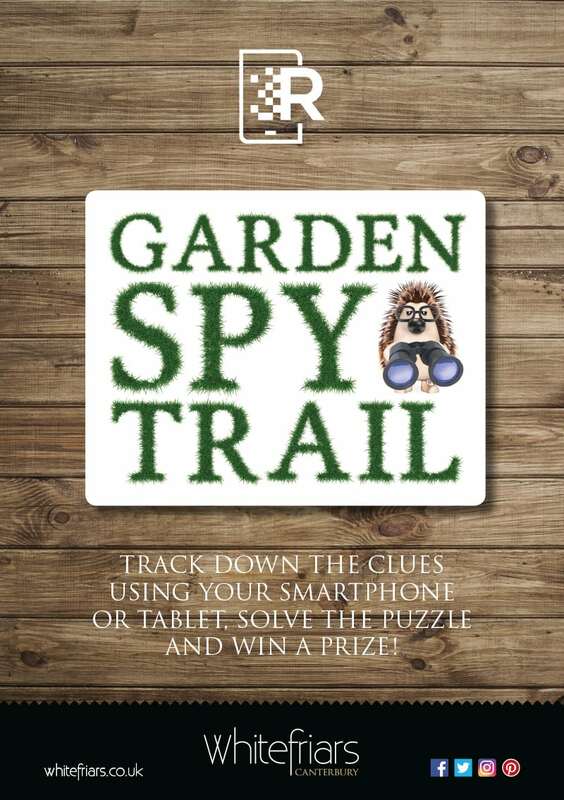 Whitefriars is utilising a free smartphone app called HP Reveal for a secret ‘Garden Spy Trail’, part of our 2018 ‘In Bloom’ campaign. Ten ‘trigger’ images have been placed in shop windows. When participants point their smartphone or tablet camera at the image, a hidden picture and nature topic is revealed, as well as a secret word. There are ten secret words to be found and these need to be arranged to make a meaningful sentence. Entry forms with full details are available now from Whitefriars stores. Every child submitting a correct entry will receive a free nature book worth £4.99 by award-winning educational author Martyn Barr – To Be A Bee, Garden Science or Water World. Four winners will be selected at random to receive a £25 gift card to spend in a Whitefriars store of their choice. The Garden Spy Trail runs until 2 September.